In addition to featuring the release of two Great-Horned owls, the “End of Summer Hootin’ Good Time” party included a variety of birds, mammals and reptiles who attended as educational ambassadors. 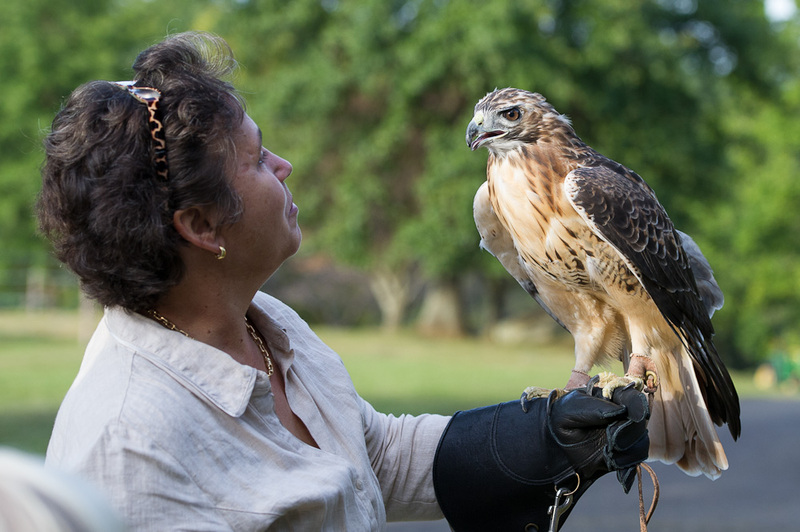 It’s believed this Red-tailed hawk named Briar Rose lost most of her eyesight after contracting West Nile virus. Therefore, she’s unable to return to the wild and is a permanent resident at the Blue Ridge Wildlife Center. Hillary Davidson and Briar Rose. Despite her disability, this hawk remained constantly on the look-out, gazing into the sky as if searching for prey. Sadly, without keen eyesight she could no longer successfully hunt, but thanks to the care and knowledge of the Blue Ridge staff she has a second chance at life. 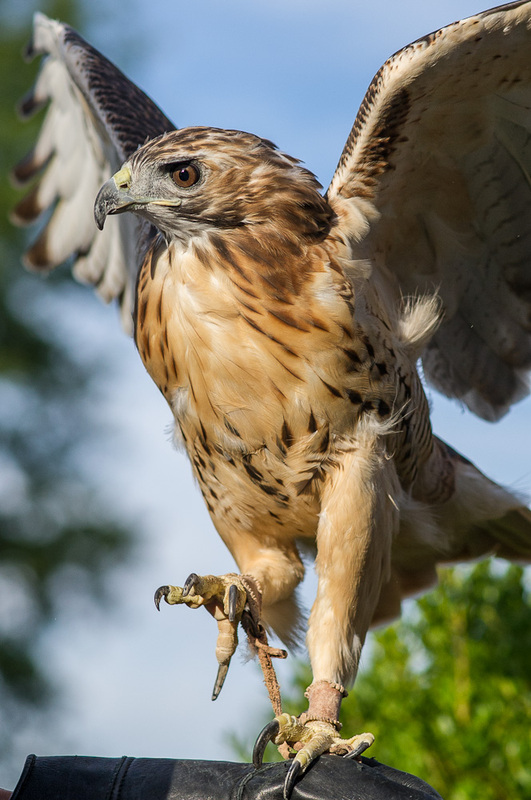 Although it’s not the perfect way for a raptor to live, perhaps through her educational appearances more humans will appreciate and protect the birds they encounter in the wild. Truly spectacular!!! I am envious in a good way! It must have been an awe inspiring experience to be that close to those creatures! Wow, that first shot is amazing!